Duck Creek Community Church is pleased to welcome Pastor Steve Baden as the Pastor of Duck Creek Community Church. Pastor Steve has been preaching at Duck Creek Community Church, filling in as needed, for the past two years. He is highly regarded and loved by church members; his service to our church body is a blessing for all. He and his wife Roddie have lived in Southern Utah since 1988. By way of a brief history, Pastor Seve was raised in the Lutheran Church, Missouri Synod, in Orange, California. He attended parochial schools throughout his childhood. After attending Concordia Teacher's College (now Concordia University) in Nebraska, he joined the Navy in 1968 during the Vietnam conflict. After being discharged in 1972, he went to work in the airline industry. In 1988, while managing Hawaiian Airlines in Las Vegas, he and Roddie fell in love with Southern Utah. They moved to Brian Head where he was employed at the Brian Head Hotel (now Cedar Breaks Lodge) as their Sales and Marketing Director. In 1991, he accepted a promotion to the resort's Director of Sales and Marketing, which included skiing and lodging. He later managed Copper Chase Condominiums; in which capacity the couple obtained real estate licenses and built a company (Premier Accommodations & Management) to handle Copper Chase property management and rentals. After obtaining a broker's license, he and Roddie opened a Century 21 office at the resort. In 2000, Pastor Steve experienced a series of callings to ministry. 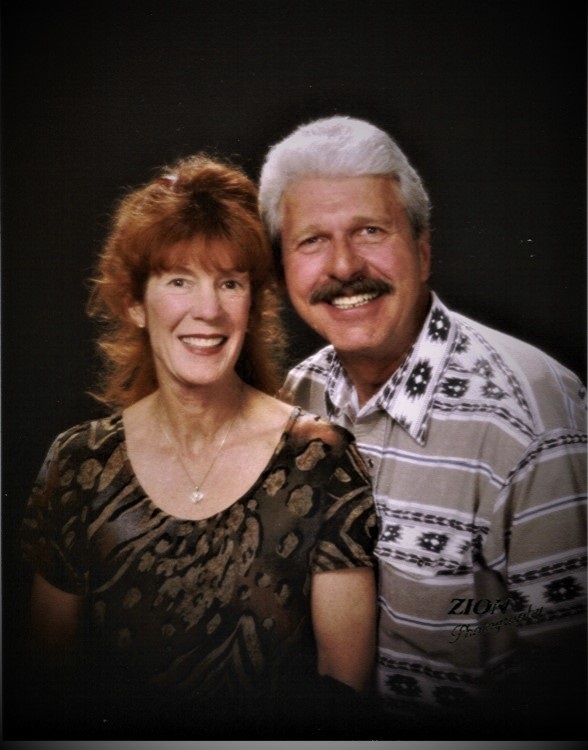 He and Roddie joined the newly-formed Parowan United Methodist Church, where Reverend Doug Harrell mentored Pastor Steve and encouraged him to pursue ministry. He served the church as a Lay Speaker, then an Advanced Lay Speaker, then Certified Lay Minister. In the early years of 2000, Pastor Steve completed the church's requirements, which included various psychological evaluations and interviews, and completed his pastoral training at Claremont School of Theology in Southern California. After returning from Claremont, he was assigned as the Pastor to the Cedar City United Methodist Church, and as an Associate Pastor to the Parowan United Methodist Church. In 2011, Pastor Steve formed Light of the Valley Fellowship Church, where he and Roddie still serve today, volunteering their time to minister to the needs of shut-in senior citizens, who enjoy a full service with hymns, message, and readings. A large part of this ministry is helping the elderly residents prepare for their final reward in Heaven. Pastor Steve and Roddie love the opportunity to bring the message of our Savior’s gift of salvation and God’s love to Duck Creek Community Church - available to everyone. He believes it is the duty of every pastor to explain Scripture, and to give a message which the congregation can relate to and apply to their daily lives. His sermons are characterized by a little humor and lessons that help those listening to understand the teachings of Christ and to apply them to daily life. Pastor Steve’s sincere desire is to move us all closer to a loving God, through his Son Jesus Christ. Please join us in welcoming Pastor Steve Baden to the Duck Creek Community Church family.